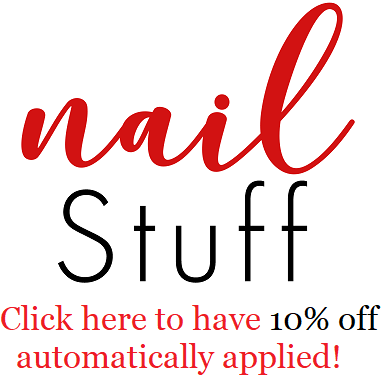 Intense Polish Therapy: Clionadh Cosmetics: Birthstone Saga Eyeshadows | Review Time! 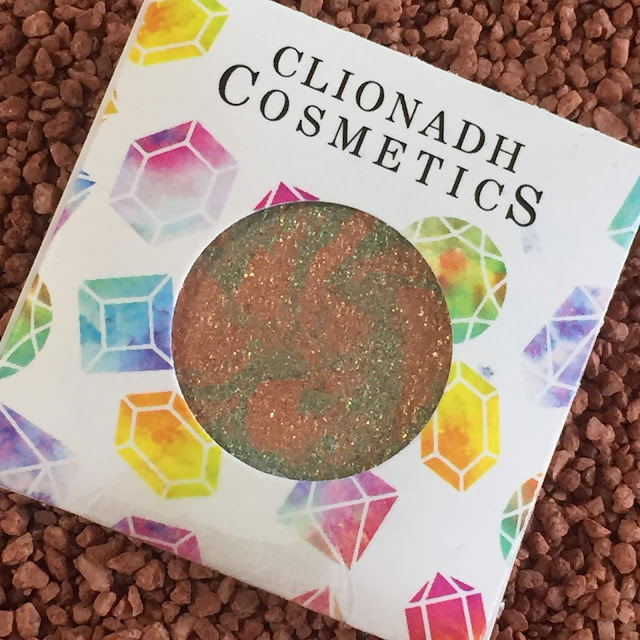 Clionadh Cosmetics: Birthstone Saga Eyeshadows | Review Time! Hey Everyone! 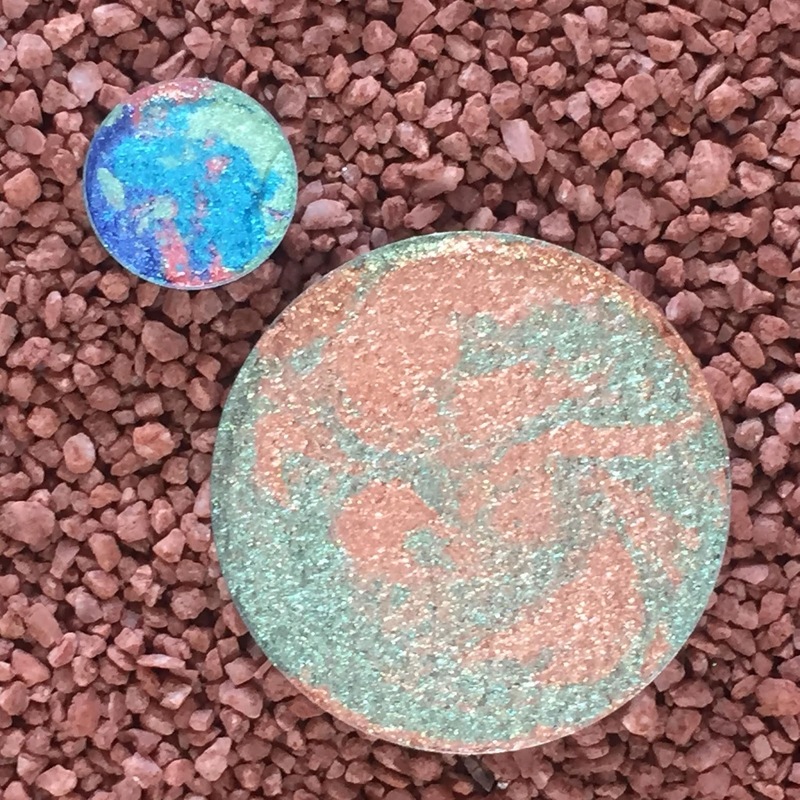 I was given two of the Clionadh Cosmetics: Birthstone Saga Eyeshadows to try out for you. I gave the shimmer shadows a try and was honestly surprised! The Birthstone Saga eyeshadow line has sixteen foiled shades that are $12.00 for a 36mm pan. I believe I received shades Bloodstone and Opal, Bloodstone being a gold and green mix while Opal is mostly turquoise with hints of pink, green, and blue. These shadows don't feel as soft as some of my other eyeshadows, but they are very pigmented. I don't believe this line has matte shades so you will need another palette to make a full eye look. From the swatches you can see that these eyeshadows are foiled and very pigmented. They look just like that on the eyes as well, but they also blend out really well with my other matte shadows. 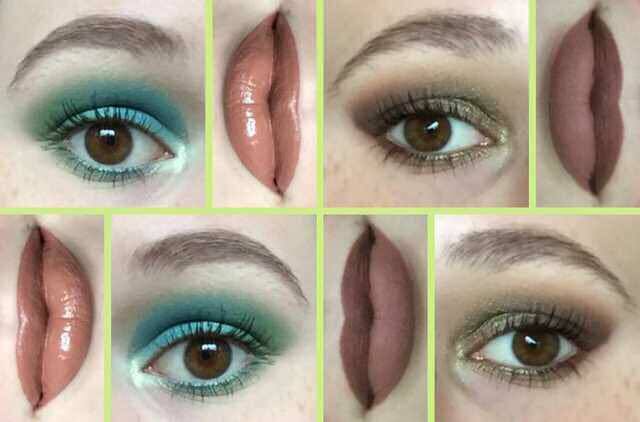 They don't require a lot of effort to look really pigmented on the eyes either which I love! I used these shadows over concealer or an eyeshadow primer and the pigment was there as you can see. The fall out was a little intense when I wasn't careful, but with a light hand I didn't have any problems. I wore both eyeshadows for about six hours and I had mixed results. Both eyes stayed vibrant throughout the day, but Opal creased quite a bit while Bloodstone looked great. I had concealer on the eye that I used Opal, so both products might not work well together, but I don't usually experience creasing like that with my concealer. I used the Smashbox eyeshadow primer on the eye I used Bloodstone on and as you can see it lasted all day and looked just as good by the end of the day as it did when I first applied it. 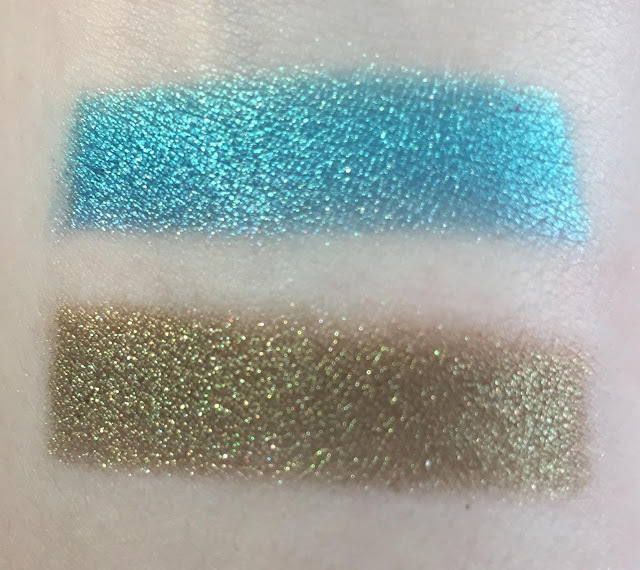 All in all I really like the Clionadh Cosmetics Birthstone Saga Eyeshadows. I haven't used a foiled shadow that applies with such little effort these do and that makes me interested in trying more. I really hope Opal performs better over an eyeshadow primer than it did over concealer because I love the colour! At first I thought they would wear off and lose all their shine throughout the day, but I was wrong. I'm very thankful that Clionadh Cosmetics sent me these eyeshadows to try, and I would recommend them even if I didn't receive these!